Each and every month, more than 1000 new lawsuits are filed in state and federal courts against creditors, debt collectors, debt buyers and marketers under FDCPA, FCRA, TCPA and more. A full third of these lawsuits are brought by frequent filers. Contact any one of them, and your chances of being sued rise dramatically. Around 1% of the names in a typical portfolio are frequent filers. The more names in your portfolio, the more risk you have. A single lawsuit can cost upwards of $25,000 to defend, and the figure often goes much higher. WebRecon’s Litigant Alert helps you quickly identify the lawsuit-happy consumers who pose a significant risk to your financial well-being. You need to protect yourself. WebRecon’s data driven technology uses the latest in data mining and predictive analytics to save you untold amounts of time and money. An ounce of prevention is worth a pound of cure. Ask for our 30-Day Free Trial. Hundreds of companies take advantage of our affordable, usage-based pricing to protect themselves. Click below to find out if we’re right for you. What Do You Get In Every Account? Identify consumers with a history of litigation quickly & easily. If they have ever filed lawsuits under FDCPA, TCPA, FCRA, TILA or similar statutes, you’ll find out here. 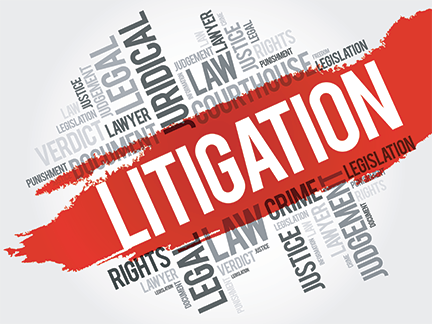 WebRecon can monitor your entire database for future instances of consumer litigation. When one of your consumers files against anyone in the future, you’ll be the first to know. Instantly and easily search our proprietary database for any lawsuit participant – Plaintiff, Defendant or Attorney. We’ll show you the full consumer litigation history of any participant, including a copy of the actual lawsuit in many cases. We have OCR’d and indexed over 90k consumer lawsuits and made them available to you in a search engine, with more than 1000 new lawsuits added each month. Use it to search the text of filed litigation for trends and cases worth following. Would you knowingly dial a number attached to a consumer with a history of litigation? Identify high-risk phones quickly & easily, before you expose yourself to unnecessary risk. Vendor Monitoring - Prevent Vicarious Liability! We track consumer litigation, CFPB, BBB and State AG Office complaints against the companies you do business with. When a new complaint of any kind is filed against any of the companies you are monitoring, we’ll automatically push a report out to you. Just like Vendor Monitoring, but without the monitoring. Search any business’s history of consumer complaints (Litigation, CFPB, BBB, State AG) with the click of a button! Anyone can get our newsletter, but only clients get the version identifying the most active Plaintiffs filing suit each month. Grab a coffee, shut your door and open your database to make sure you are doing all you can to stay safe. I would highly recommend the services that WebRecon LLC provides to ANYONE in the collections industry. The service pays for itself time and time again. If you deal in even a minimal volume of accounts on a monthly basis, you would be doing your business a great service by utilizing WebRecon. I just wanted to let you know how much we are benefiting from working with you. Your service is ingenious. I estimate WebRecon has already saved us $15,000 in the last three months alone, and I just want to thank you for your help and assistance in avoiding costly litigation. We chose WebRecon for the value of the service and fair pricing - just finding those people who like to sue has saved us money. I like getting a hit! The monitoring service has been especially valuable. I would absolutely recommend you to my peers - I can't believe there are still people in the business who don't use WebRecon. The automation process is what we like best about WebRecon, I don't have to contact anyone. An especially useful feature is the quick turnaround - a few minutes and I get what I need. We get peace of mind working with WebRecon, it gives us an added layer of protection from debtors who are overly litigious. The local lawsuit data and the function of matching SSN's is particularly helpful, and the batch processing makes everything easy and automatic. We have saved plenty in legal fees. We have enjoyed a long partnership with WebRecon. We have realized cost savings by utilizing WebRecon’s data to identify litigious individuals prior to working accounts, as well as having a wealth of information available to us on regulatory complaints. WebRecon has demonstrated a commitment to always improving its product offerings by listening to the industry and making information available in a way that is not too complicated or cumbersome. We’ve also been very pleased with the responsiveness of the team when addressing any questions we’ve had. We plan to continue our partnership well into the future. It was a good year as it relates to a reduction in frivolous lawsuits. It has helped us eliminate phone and mail contact with debtors that make a living suing debt collectors. WebRecon really exceeded our expectations. The services we are using are working beautifully. If I have an issue, I hear right from the top within 60 minutes. We are very happy. I don’t have to talk to them and that is a good thing. Their process runs very smoothly. They are very easy to work with and contact. WebRecon has been responsive to our needs and has saved us a ton of money. We use WebRecon to help target habitual plaintiffs.. By identifying these consumer litigants prior to business distribution and attempted calls, we have been able to cut our legal defense budget immensely. More than worth it, THANK YOU WEBRECON! Thanks for the great product, the report is very comprehensive and easy to use. You knocked another one out of the park! We have been using WebRecon since 2011, and they have identified several high-risk consumers that almost certainly would have cost us many thousands of dollars each to pursue. WebRecon is fast, easy to use, and constantly evolving to meet the various threats in this industry head on. WebRecon has our back. By scrubbing our new placements via WebRecon prior to bankruptcy and skip-tracing we avoid sending unnecessary accounts to other vendors. Using the pre-litigation scrub has become an even greater asset! They are always available to help if we have issues uploading a file. Thanks for such a great service, Jack! WebRecon has really helped us mitigate our risk in a difficult environment fraught with lawsuit abuse. We owe Jack and Co. a huge thank you for their assistance. WebRecon is essential! Unless you prefer paying your attorney to defend frivolous lawsuits, WebRecon is a must for any agency owner. There is peace of mind knowing we are not calling consumers that are frequent filers. This service is truly indispensable to our industry, I never have to blink an eye when I see an invoice from WebRecon.